Looking for an alternative to a baby shower? Perhaps a Blessingway is the ‘way’ to go. As many of you know, I’m 36 weeks pregnant with my first son, Forrest Bump (read more). Yesterday I hosted a heartfelt Blessingway in Brisbane for friends and family. It was facilitated by Jill Genet, a dear friend of mine and the founder of Red Tent Australia. and mobile is 0458 466 339. What is a Blessingway? It’s a mother’s blessing ceremony, which originally comes from Native American and Navajo culture. It’s sometimes called a Belly-blessing. 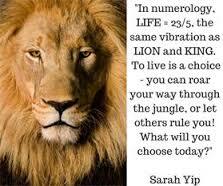 In numerology, Blessingway adds to 46/10/1. 1 is the number for new beginnings, while 4 represents the Heart Chakra and 6 is the Third Eye Chakra. A Blessingway helps a mother to ‘kickstart her heart’ and ‘open her mind’ to the beauty of birth. It’s a rite of passage, bringing positive women together.What a pleasant change from the scary TV images of mothers labouring on their backs (the least helpful position for giving birth). 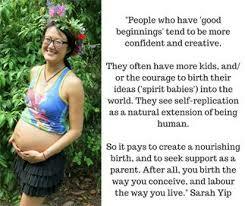 I’m a big fan of conscious conception and active birth – after all, the way you labour is the way you live! Read more. -Despite my public work as a psychic reader and blogger, I’m very private at home (Many 11 lifepaths act like ‘2’s in their downtime). My soulmate Kris and I live an eco-friendly, mainly organic lifestyle. So I knew that a Blessingway would be more helpful than a baby shower. Forrest already has plenty of recycled clothes and toys! -A Blessingway is more about the mother-to-be than the baby, and I felt the ceremony would give me strength. Although I’d done prenatal classes with yogababy and the RBWH Birth Centre, I was still nervous about going through labour. -The female-focused aspect of a Blessingway felt right. Jill asked each guest to bring flowers, food and a bead. It was like having a birthday party, only more special. Kris did a great job helping with set up, taking photos and passing the tissues. What a guy! What does a Blessingway involve? -Candle-lighting. Each guest introduced themselves by lighting a candle* and honouring their lineage e.g. I’ m Sarah, daughter of Catherine and John, grand-daughter of x and y, sister of z, mother of a. This was a surprisingly emotional experience! Many people, including me, cried. You could feel Spirits in the room in a totally non-spooky but comforting way. Many people got goosebumps. *Guests took their candles home, to be relit once they hear I am in labour. Jill suggested they text me pictures of the lighted candles when I’m in hospital.-Bead ceremony. Each guest presented me with a bead for a birth necklace to wear during labour and to hang above Forrest’s cot. They also spoke words of support and explained why they’d chosen their bead (e.g. because it was a healing crystal like Malachite or Chrysocolla for childbirth). -String ceremony. We stood in a circle and Jill wound red thread around each woman’s left wrist or ankle, to symbolise connection. We cut and tied each other’s bracelets or anklets. Once my friends hear I’m in labour, they can cut the string and say a prayer. I love my bracelet – it makes me feel protected. -Fear-washing ceremony. Jill washed ‘the fear’ from my hands while the group sang a lullaby about a flowing river. I felt super calm after that – Jill said that during labour I can put my hands underwater to remember the ceremony. -Drum baths. Jill and a friend (my favourite crystal healer Deniz Akan) played drums to clear people’s auras. Having someone drum in the front and back of you feels great – like an ultrasonic bath. Jill uses a drum she made by hand – how inspiring. -Water blessing. My friends spoke words of affirmation into a goblet of water, which I drank from. Jill explained that water picks up intention (see Masaru Emoto’s work) so this was a way of me receiving their love. -Pampering and food. Some of us had foot massages. We also ate lots of yummy gluten and dairy free food. I was in Heaven. -Flower garland and photos. Everyone bought flowers, which Jill wove into an amazing garland (see photos). I’ve never had someone make me a flower crown. It made me feel like a Queen. Thank you to Jill for her expertise and love, and to my friends and family for making my Blessingway so special. Also to Kris for being my life partner and the father of our gorgeous baby. I hope you have enjoyed this article on Blessingways. Although very few of my friends had been to a Blessingway before, they walked away very positive and excited – attending one definitely gives you a big glow inside. To book Jill, call 0458 466 339 or check out her facebook page Inner Goddess Blessingways. Mention this article to receive $10 off a Blessingway with Jill. A basic Blessingway (candle, bead and thread ceremony) may include treats like belly casting, flower crowns, foot and hand pampering etc. offered as extras. Jill is based in the Redlands so there is a travel fee if you live on the Northside of Brisbane. As mentioned earlier, Jill is the founder of Red Tent Australia. I’m a proud Corporate Sponsor of this amazing network of women’s circles. All memberships are half price from Jan 1 (~$30 a year). You can also subscribe to my e-news for articles (see homepage). Or write to me below, or via email. Comments are published after approval.